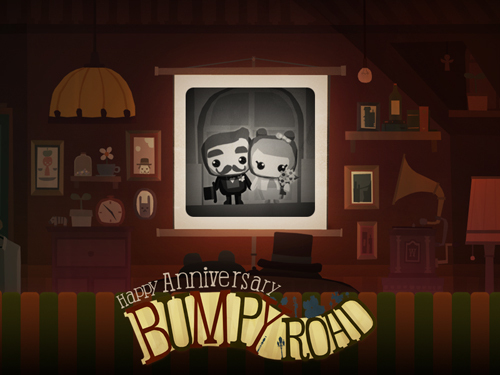 Exactly one year ago, we released a game about memories, photographs, love and loss. Time sure flies. To celebrate, we made a short playlist with eight songs that we feel have a connection to Bumpy Road. All of these should be available on your music service of choice, so go ahead and compile your own Bumpy Road playlist! Previous PostSwimogo?Next PostBack & Let’s go!